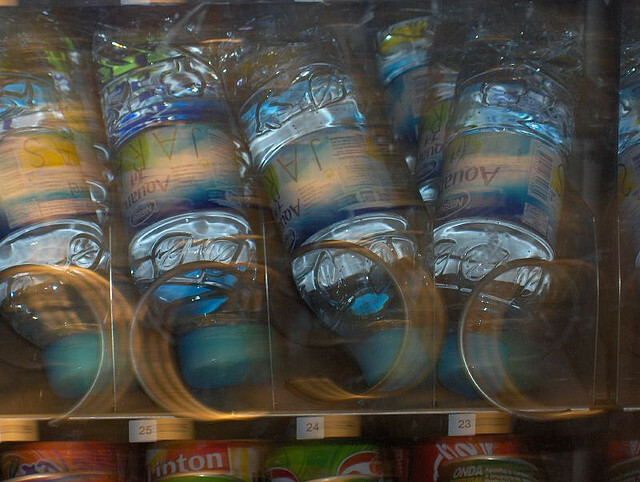 Health advocates moved to make water the “default drink of Maryland” by submitting a bill that would repeal the 6% sales tax on bottled water. Some health foundations spoke before the Senate Budget and Taxation Committee in support of SB 574 on Wednesday, where legislators identified the elephant in the room — a possible general fund loss of $20 million annually. The Comptroller’s Office estimated the exemption could reduce general fund revenues by $7 million based on 2012 bottled water sales data provided by the International Bottled Water Association. However, according to Sugar Free Kids Maryland and the American Heart Association, the question isn’t what the state will lose but what the state will gain by reducing the number of “sick kids” in Maryland. “We are becoming sicker than we can afford to be in our state,” said Nikki Highsmith Vernick, president of the Horizon Foundation in Columbia. “The direct and indirect cost to Maryland’s economy to be approximately $11.5 billion annually from the impact of obesity,” said Vernick. The foundations hope to encourage the purchase of water over other sugary drinks by making bottled water more affordable, especially to lower income families who are counting pennies in their budgets. Currently, the state does not consider water a tax-exempt “food,” according to the Department of Legislative services. Other healthy choices are already exempt by the sales tax, including food sold in grocery stores, excluding certain prepared foods, and vending machine sales of milk, fresh fruit and yogurt. “We already give an exemption to most food products in this state…and it seems to me water deserves not to be taxed, as it is a staple of life.” said Sen. Guy Guzzone, D-Howard, sponsor of the bill. “Bottled water is regulated by both federal and state laws as a food product,” said Patrick Donoho, president of the Maryland Retailers Association. “During natural or manmade events we are strongly recommended by government agencies to go out and purchase bottled water…so if the government is telling us to buy it, why should we tax it?” said Donoho. While there was no panel of opposition to the bill, Sugar Free Kids Maryland Executive Director Robi Rawl wondered why the American Beverage Association had not joined them in support. “We find that intriguing, since most of the companies that are a part of the American Beverage Association, such as Coke and Pepsi, also produce bottled water. So we’re curious as to why they are not coming out in support of this bill as it also supports their products,” said Rawl. Ellen Valentino, chair of the Maryland-Delaware-D.C. Beverage Association, came to the committee hearing to comment but not take sides. “Know that we are here and we are committed to the health and wellness phase…there are facts to deliberate on,” said Valentino. Maryland is one of 17 states with a sales tax on water, and it is also one of the top 4 states that taxes water at a higher rate than other food and drink, said Rawl.